NZHIT finished off 2018 with more celebrations! December 2018 ended with the presentation to two NZHIT Founding Members of their awards. Augen and Tranzsoft Group who could not attend the AGM in Wellington. The Founding Members were all provided with an award to recognise their efforts and thanked by their peers for the contribution they've made, and continue to make, in achieving NZHIT's vision of Enabling a Healthier New Zealand. 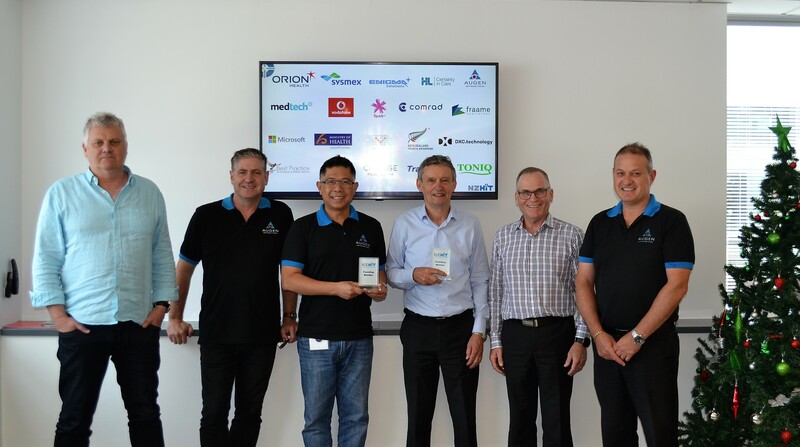 Many thanks to the team at Augen for hosting the event and for their ongoing support of NZHIT, also to Rod Hall for his support and contribution over the last 16 years.